It’s hard to believe, but Blessed by the Potato is now 20 years old! In internet terms, the site is old. Older than Google (at least without the “beta” on the homepage), YouTube, and even the word “blog” (it was a “homepage” back then). I’ve had a blog longer than I had my own cell phone. Longer than I’ve had a girlfriend. Longer than I’ve had high-speed, always-on internet. And the crazy thing is that it’s still going (though at a much slower pace than in the early years when I posted multiple times per week). I had lots of ideas for how to celebrate this anniversary: a new WordPress theme (maybe mobile-friendly! Maybe with SSL! ), a complete rebranding (maybe take it seriously! ), or a long-term strategy beyond “I’ll post stuff on whatever I like whenever I like.” But, I’ve been busy and haven’t done any of that. Perhaps the truest form of tribute is perhaps to stay consistent with that 20-year history and throw something together at the last minute and post the first draft in the middle of the night. 1997-ish: plans are lazily talked about for a new humour website that will, like, be just the funniest [spoiler warning: it was not]. Like if Douglas Adams and Dave Barry worked to make something that talked about everyday experiences, overlaid with an assumed understanding of a shared fake religion. People would be falling over themselves to read more and/or date the author [they were not]. December, 1998: the site is quickly created in Notepad and put up on the free hosting included with my internet package [remember when that was a standard feature?]. Summer, 1999: Our Last, Best Hope is shut down [despite the Babylon 5 quote, it was neither of those things] and all focus is put on BbtP. Summer, 2000: The encyclopedia project begins. Abandoned a year or two later as Wikipedia shows that crowd-sourcing material and being actually serious and informative is a much better way to build an internet encyclopedia. November, 2001: After years of the address bar being filled with ISP domains (mainly Rogers), tildes, slashes, and sub-directories, the holypotato.com domain name is secured. Summer, 2005: “Internet home page” and “web log” and “online diary” have all given way to a mighty neologism: blog. WordPress is a thing, so you don’t have to hand-code html in notepad and FTP documents up. Also, Rogers is shutting down the user homepage hosting. BbtP migrates to WordPress, hosted on an old computer under my desk. The old content is — wisely — not migrated. 2007: Focus shifts noticeably toward personal finance. Theme flips from white-text-on-black to more conventional black-text-on-light-background. No further changes to the theme will come for over a decade [though maybe soon?]. 2008: Global financial crisis hits and site transitions almost fully from personal homepage to personal finance blog. BbtP is migrated from under-the-desk server to an actual commercial host. holypotato.net domain is secured. 2011: First investing book is launched, and my secret identity is revealed after years of pseudonymity! 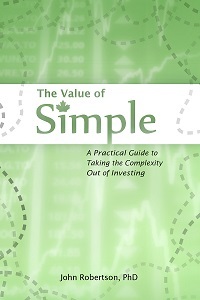 2014: Value of Simple is launched. Including book revenue, BbtP finally makes more than its hosting costs [excluding book/course revenue, the site on its own has never monetized into the black]. There’s now a picture of me online, and the last vestiges of pseudonymity falls away. 2018: Site turns 20, to little fanfare. Deliberations are held surrounding the massive branding failure that is BbtP and opportunities to update the site, but they all sound suspiciously like work. Or more concisely: when I first got the idea for this site, I was a sleep-deprived high school student. When a less-awesome and significantly less-popular version than I had in my mind’s eye first launched, I was a sleep-deprived undergrad. When I switched over to WordPress and a more codified blog format (and “blog” became a word), I was a sleep-deprived master’s student. Now look at me: a sleep-deprived dad/science editor/finance author! TFSA vs RRSP Decision Guide. Rent vs. Buy: the Investment Spreadsheet and the associated The Rent vs Buy Decision. 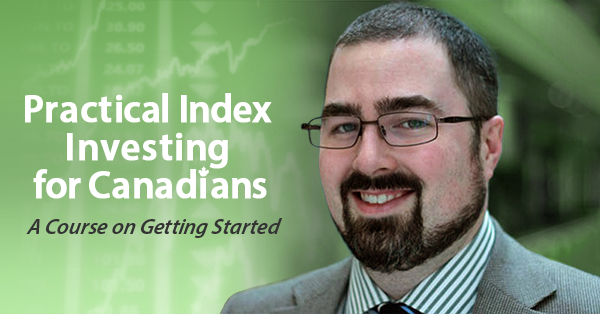 A five-part series on how to handle your taxes as a freelancer in Canada. Asset Location gets REALLY Complex. The Opportunity Cost of Higher Education — showing that economically speaking a PhD will never pay off for many people. The Advisor vs Adviser Silliness. Wayfare getting sick (kicking off permanent change in the household). I had a baby girl! And it was crazy! I graduated with my PhD. They broke Kraft Dinner, and I switched to the PC version (yes, a major life event). Before my PhD, I graduated with my MSc. In the notes for both I talk about losing weight. That would not happen for another 12 years. Plus boring stuff like vacations, conference reports, my car getting stolen, and marveling at my office-mates’ hijinks. I had thought of doing a “then and now” feature, like John Scalzi did for Whatever’s 20th anniversary. But really, the then and now is then I was a kid and now I’m a grown-up. In short, a lot has changed in 20 years, to no one’s surprise. One big change is in my writing: ellipses are out, but em-dashes are forever. Moreover, I spend more time on drafts, and kill more posts, which is a big part of why the posting frequency dropped over the years (and why the post counter is 2152 but there are only 1301 published). Though perhaps to provide an example how things have changed, “Scuba” and “Heavy Gear” were top-level headers on the first iteration of the site. I haven’t been diving in ~17 years, and while I’m still a bit of a geek for games, getting the webpage done was pretty much the death knell for that particular hobby. My style has shifted, too: back then my goal was to avoid editing as much as possible — I’d copy-edit as I went, and then hit post, often without even reading the whole thing. I still do HTML mark-up live as I compose (what’s WYSIWYG? ), but don’t tend to compose in notepad or WordPress — I spend more time in Word and read what I wrote at least once. And hey, my job is as an editor now. There’s also social media now, so a lot of the “here’s what I did on my vacation” type of material gets put up on Facebook or Google+ (ha ha, no one believed that even for a second). Lots of blogs start up then flame out after a few years. I think part of it is that they have goals in mind, goals that are hard to hit. BbtP does have a few ads, but it’s clearly not about the money here (I’ve never done a sponsored post, and indeed, ad revenue on average doesn’t cover the hosting costs). I posted multiple times per week early on, but most of those posts were ephemeral, and not worth linking to in a retrospective like this. In short, I write mostly for the sake of writing, and the blog is how I do that. There are lots of good reasons to write a blog, but hoping to get famous (or worse, to get rick quick) has been a sure sign that a blog’s going to flame out. Of course, doing it badly and not caring is not a great tip for blog longevity, so also remember that someone had to be one of the early adopters and continue to be the survivor, so take it all with a grain of salt. And finally, a thank you to all of those who have read along over the years! The site gets about 2000 visitors per month, a figure that has been remarkably consistent ever since I slapped on Google analytics. It’s a tiny fraction of what some sites get (which is why they do crazy things like make money at it), but my readership is the stickiest! (Uhh… phrasing) Hopefully you’ll all still be here in another 20 years! I’ve finished the major upgrades to the backend, which should take care of those pesky PHP errors that had been cropping up over the past few weeks. That upgrade also makes my site compatible with many of the new-fangled WordPress plugins that I’ve been ignoring for the past decade. So I may continue to fiddle with those, and the theme/CSS is totally up for a revamp, but the major risk of site breakage appears to be past us. The URL for the RSS feed looks to be the same, so those of you using a reader should not experience any interruptions. The long weekend seems like a good time to screw around with the backend of the site. If you are on the RSS feed Tuesday and this is the last post you receive in your reader, then I have broken the feed, please come back to the site and add it again. I’ll post again whenever I’m done. For those visiting the site directly, there may be some weirdness in the layout as I fiddle. Blessed by the Potato is proudly powered by WordPress ♦ Entries (RSS) and Comments (RSS). ♦ 26 queries. 0.380 seconds.